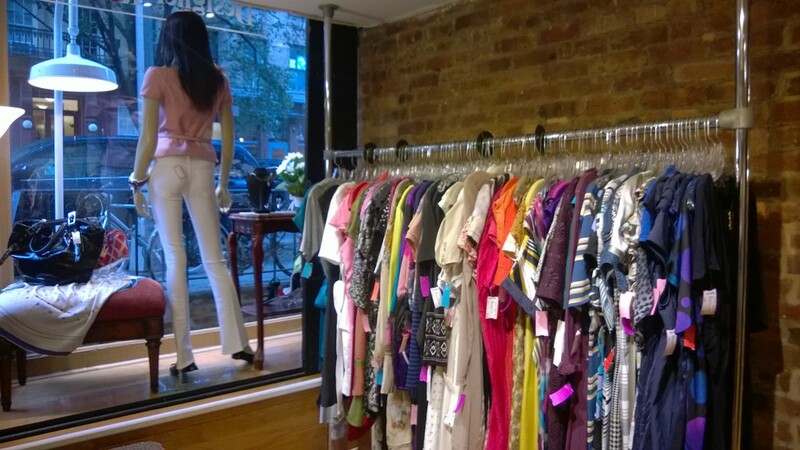 Tucked away at 324 East 81st Street – conveniently located a few blocks from our apartment – is a gem of a shop called Designer Resale. If you love vintage designer clothing at (relatively) affordable prices, go! When you enter, the shop looks deceptively small. But you then discover room after room of designer treasures, including shoes, handbags, dresses and – my personal favorite – racks of gorgeous jackets. Pictured are a few fabulous finds from a recent afternoon. With new consignments coming in every day from their Upper East Side neighbors and fashionistas from all over the world, you never know what you’ll find. The owner, Myrna Skoller, and her staff are super-friendly and knowledgeable. Myrna even wrote a delightful book, “Miracle on 81st Street,” about the growth of this shop over the years. Check out Designer Resale on Facebook, and stay tuned here for more.